Remarkably colourful, yet not garish or overpowering. Thanks. That's what I was hoping for - though I figured it was better to err on the side of garish if I did. 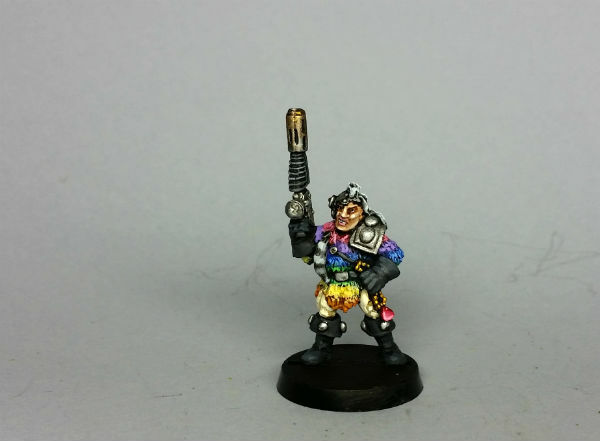 The theme (for one of two factions) was a hive gang, with the chosen color scheme to involve rainbow color pattern.